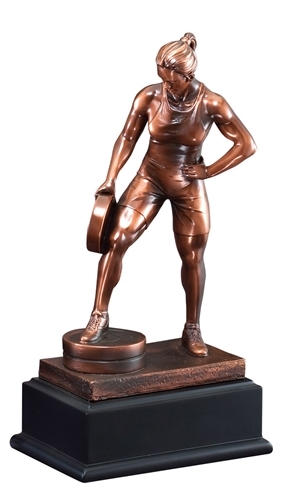 Bar in Hand Trophy sculpture features an electroplated resin statue of a woman with bar in hand mounted on a black base with an engraving plate for personalization. Appoximate weight is over 3.5lbs. Please allow 3-5 days plus shipping time.